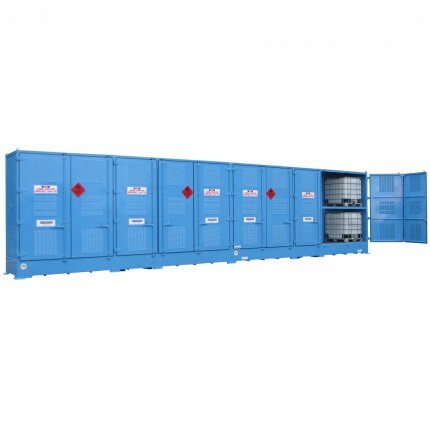 Optimum's 1,000L Bulkibox Outdoor Relocatable Bulk Dangerous Goods Storage are an ideal solution for immediate, safe, approved and efficient storage of large quantities of dangerous goods without the problems and expense associated with building fixed stores. 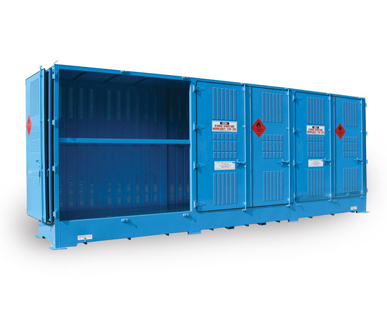 If you'd like more information or if you have any enquiries about 1,000L Bulkibox Dangerous Goods Store, please call 1800 066 008 or click HERE to contact us online and we will contact you. 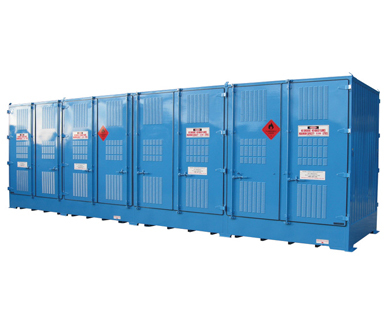 Optimum's 2,000L Bulkibox Outdoor Relocatable Bulk Dangerous Goods Storage is the perfect solution for instant, safe, approved and efficient storage of large amounts of dangerous goods and no problems and/or expense associated with building fixed stores. 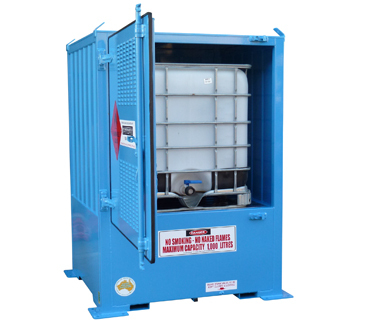 If you'd like more information or if you have any enquiries about 2,000L Bulkibox Dangerous Goods Store, please call 1800 066 008 or click HERE to contact us online and we will contact you. 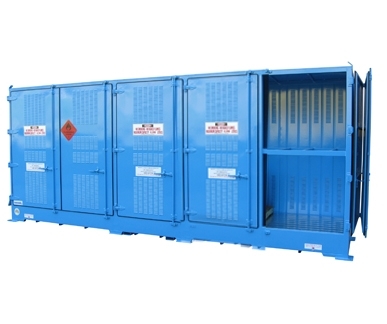 Optimum's 4,000L Bulkibox Outdoor Relocatable Bulk Dangerous Goods Storage is the ultimate solution for immediate, safe, approved and efficient storage of large quantities of dangerous goods without any problems or expense associated with building fixed stores. 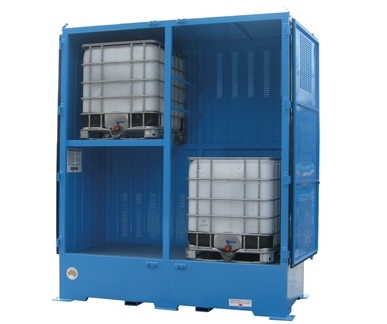 6,000L Optimum Bulkibox Outdoor Relocatable Bulk Dangerous Goods Storage ia an ideal solution for immediate, safe, approved and efficient storage of bulk quantities of dangerous goods without the problems and expense associated with building fixed stores. If you'd like more information or if you have any enquiries about 6,000L Bulkibox Dangerous Goods Store, please call 1800 066 008 or click HERE to contact us online and we will contact you. 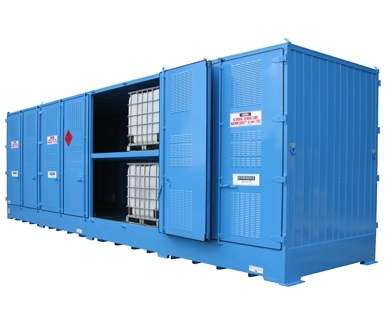 Optimum's 8,000L Bulkibox Outdoor Relocatable Bulk Dangerous Goods Storage is the most ideal solution for immediate, safe, approved and efficient storage of large quantities of dangerous goods without the problems and expense associated with building fixed stores. 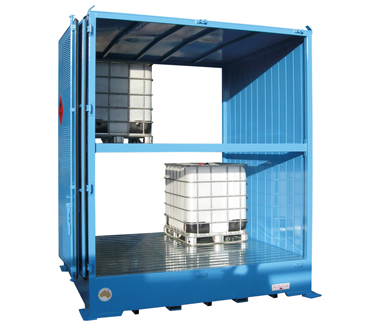 The 8,000L Bulkibox Outdoor Relocatable Bulk Dangerous Goods Storage is available in two sizes; including on that is double sided for ease of access, see spec for full details. 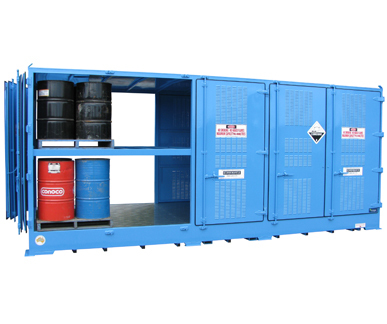 If you'd like more information or if you have any enquiries about 8,000L Bulkibox Dangerous Goods Store, please call 1800 066 008 or click HERE to contact us online and we will contact you. 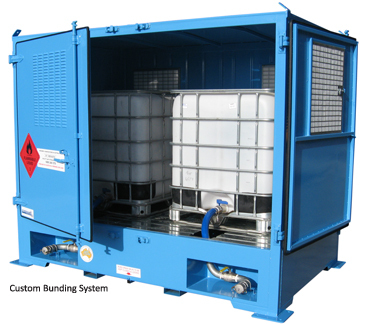 Optimum's 10,000L Bulkibox Outdoor Relocatable Bulk Dangerous Goods Storage is the ultimate solution for immediate, safe, approved and efficient storage of bulk quantities of dangerous goods without the problems and expense associated with building fixed stores. 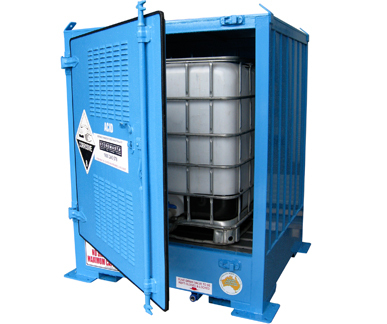 If you'd like more information or if you have any enquiries about 10,000L Bulkibox Dangerous Goods Store, please call 1800 066 008 or click HERE to contact us online and we will contact you. 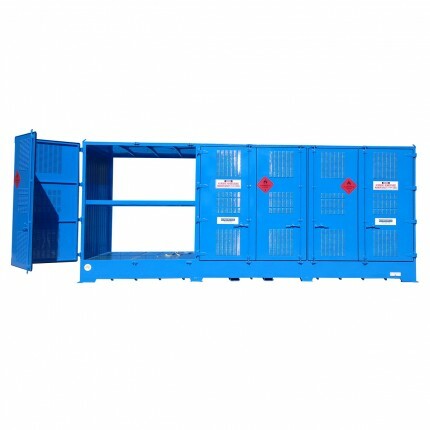 Optimum's 12,000L Bulkibox bulk Outdoor Dangerous Goods storage is a perfect solution for immediate, safe, approved and efficient storage of large quantities of dangerous goods without the problems and expense associated with building fixed stores. 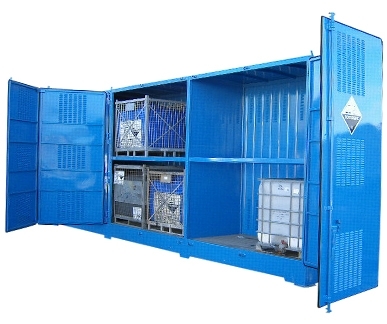 The 12,000L Outdoor Dangerous Goods Storage is built to specifically comply with the customer requirements and can include shelving compartments, decanting systems, pump stations, poly bund linings and built eyewash facilities. 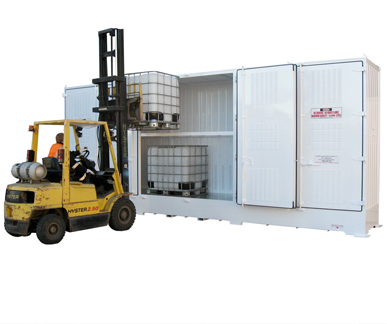 If you'd like more information or if you have any enquiries about 12,000L Bulkibox Dangerous Goods Store, please call 1800 066 008 or click HERE to contact us online and we will contact you. 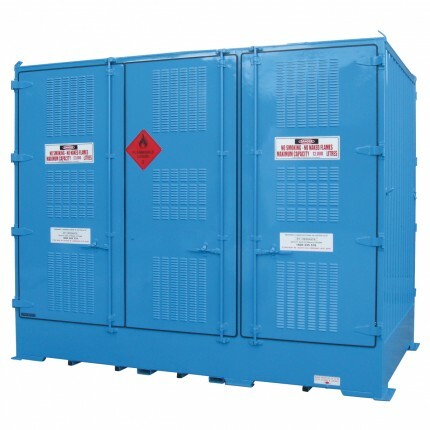 16,000L Bulkibox bulk Outdoor Dangerous Goods storage is the ultimate solution for immediate, safe, approved and efficient storage of larger quantities of dangerous goods without the problems and expense associated with building fixed stores. 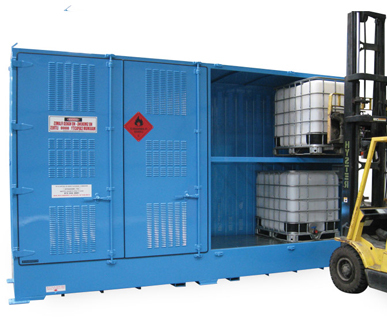 If you'd like more information or if you have any enquiries about 16,000L Bulkibox Dangerous Goods Store, please call 1800 066 008 or click HERE to contact us online and we will contact you. 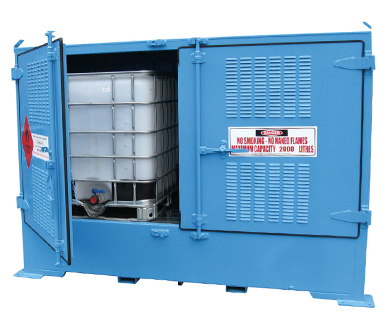 20,000L Optimum Bulkibox bulk Outdoor Dangerous Goods storage is the perfect solution for immediate, safe, approved and efficient storage of large volumes and quantities of dangerous goods without the problems or expense associated with building fixed stores. 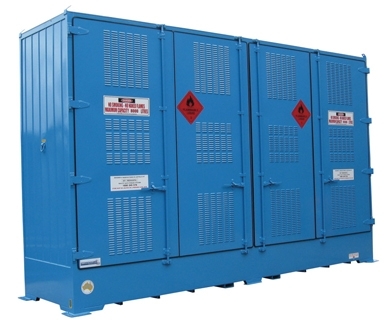 If you'd like more information or if you have any enquiries about 20,000L Bulkibox Dangerous Goods Store, please call 1800 066 008 or click HERE to contact us online and we will contact you. 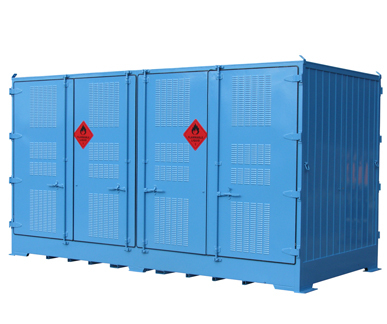 The 24,000L Bulkibox bulk Outdoor Dangerous Goods storage is the perfect solution for immediate, safe, approved and efficient storage of larger quantities of dangerous goods without the problems and expense associated with building fixed stores. 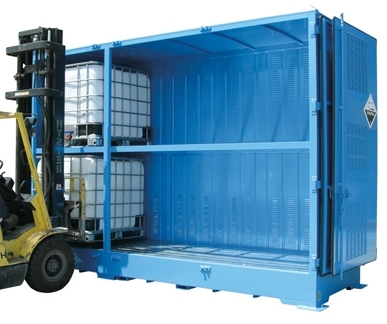 If you'd like more information or if you have any enquiries about 24,000L Bulkibox Dangerous Goods Store, please call 1800 066 008 or click HERE to contact us online and we will contact you. 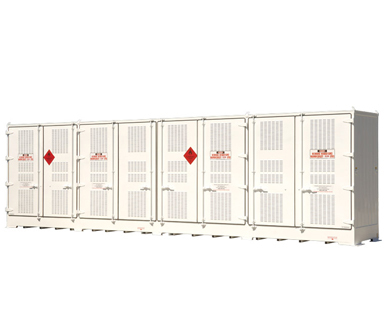 Optimum's 32,000L Bulkibox bulk Outdoor Dangerous Goods storage is the utlimate solution for immediate, safe, approved and efficient storage of large quantities of dangerous goods without the problems and expense associated with building fixed stores. 32,000L Outdoor Dangerous Goods Storage has a purpose built to specifically comply with the customer requirements and can include shelving compartments, decanting systems, pump stations, poly bund linings and built eyewash facilities. 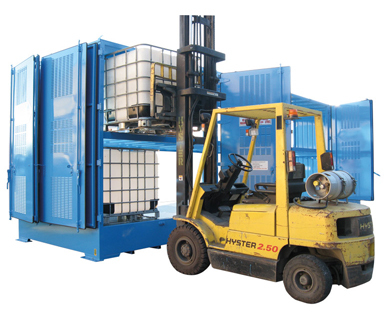 If you'd like more information or if you have any enquiries about 32,000L Bulkibox Dangerous Goods Store, please call 1800 066 008 or click HERE to contact us online and we will contact you.